The video below shows two tools that I’ve installed on every computer that will run them; MediaInfo on all Windows, Linux, and Mac workstations, and Bitrate Viewer, which is Windows only. If you don’t know about these tools, you’ll find the seven-minute video very, very useful. 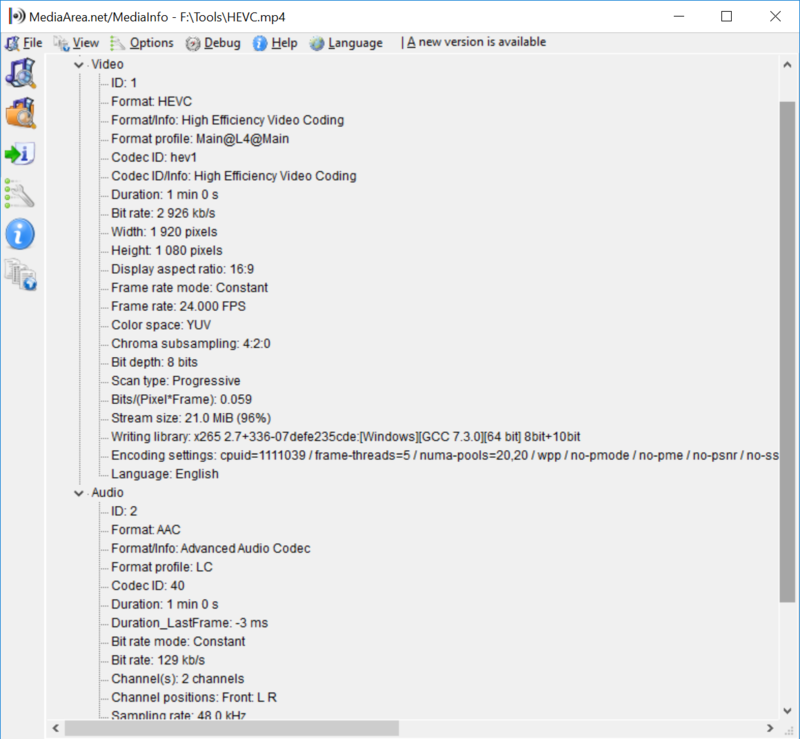 As a preview, MediaInfo provides information about my H.264, HEVC, VP9, and AV1-encoded files like data rate, resolution, codec, bits per pixel and encoding details like Profile and Level for H.264. 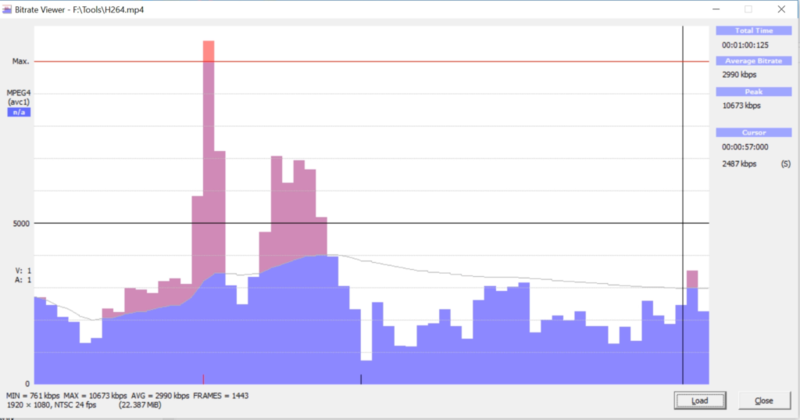 Bitrate Viewer shows a frame graph of H.264-only video files so I can diagnose problems like mid-stream interruptions. In this video, you’ll learn why you need these programs and where to get them.